We become more and more aware of the need to take fast climate action. The demand and need for measures grow deeper since the planet, climate and environment are changing for decades already. However, for proper measures and projects, we need to fully understand and process how the environment is changing and the consequences of global warming. Investigating the finer nuances how these processes take place is mandatory. The past year has been marked by a series of ground-breaking studies that analyse the matter deeper. This way, we finally learned how climate change influenced extreme weather, ice loss in Greenland and melting spots in Antarctica. The studies have explained how ocean currents and major atmospheric patterns have changed over the past decades. And they have changed enormously. And the studies are not still over on the topic. Major scientific projects and missions are still due to take place in 2019 and they might positively influence climate. Below are some of the most important you should keep an eye on this year. This may be one of the most ambitious Antarctic research projects yet conducted by the US National Science Foundation and UK’s Natural Environment Research Council. Although the project was launched in 2018, we expect to see results and data during this year. The research project focuses on West Antarctica’s Thwaites Glacier. 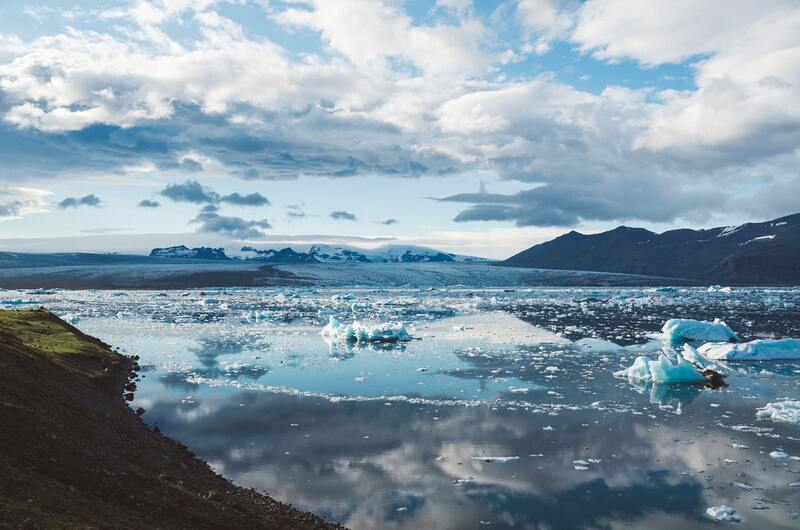 About the size of Florida and recently losing 50 billion of ice yearly, the melting of the Thwaites Glacier is one major environmental concern today. The potential collapse of the glacier will definitely contribute to a major sea level rise all around the world. Considering the fact that the melting phenomenon seems to continue, the enormous glacier might destabilize and collapse in the next decades. The mission has the main goal of investigating the process behind Thwaites Glacier’s melting and to conduct further research and establish the exact mapping of the bedrock beneath the ice. The research team will also analyse the interactions between the ice and the ocean since it is believed for quite a long time that the melting happens from the bottom of the glacier up. The two research agencies are formed out of various scientists with different scientific missions and the data will be later corroborated. The project is due to continue until 2023 so, we should expect updates from the research team during this year. A growing area of interest when it comes to global climate is geoengineering. A controversial topic in the past few years was the suggestion of spraying reflective aerosols into the atmosphere to reflect sunlight away. This might lead, hypothetically, to a cooling of the planet. The idea is widely known as solar radiation management or solar geoengineering. This topic has become widely known after the Paris Agreement raised the concern of global warming. The idea is still controversial and it was only explored in models. The action might have severe impacts on the ozone layer and might potentially change global weather patterns. Due to these reasons and its potential, a series of scientists are willing to test the idea and figure out how it might change the aforementioned variables. Real-life experiments will certainly be conducted in 2019 and if the results are positive, the idea might also be implemented. Understanding how reflective aerosols behave in the atmosphere is only the first step to achieving better weather patterns and an amelioration of the global warming phenomenon that we are witnessing for several decades now. One of the most anticipated experiment parts of the SCOPEX Project is led by Harvard University. The team of researchers is led by Frank Keutsch. Frank is an engineering and atmospheric science professor and closely collaborates with David Keith and James Anderson. Keith is an applied physics professor and Anderson is a professor of atmospheric chemistry. This is a one-of-a-kind project or at least, first of its kind. The experiment will be a small-scale one and people don’t have to worry about its environmental impact. However, if it succeeds, different industries that can benefit from the discoveries. Maybe the most burning environmental concern today is the global warming topic. Many researchers suggested on the past few years that the warming of the Arctic area may influence the global weather patterns. The theory on which this research project is based on suggests that the Arctic region is warming up twice as fast as the rest of the Earth. As a result, the temperature change between the high latitudes and equator is also rapidly changing, altering the air flows around the world. This leads to severe weather changes around the world, from Asia to Europe, US and basically elsewhere. Extreme weather phenomenon might be caused by Arctic’s rapid warming, as many scientists suggest. This particular project has the main purpose of figuring out if the two are interconnected or if they are purely coincidental. Many researchers have suggested that the weather in the Arctic is not actually influencing worldwide weather patterns and that the weather patterns might be actually flawed. However, this team of researchers has the scope of clearly finding out if other forces are driving these changes. Another project focused on the Arctic and its rapid warming is the Mosaic Project. This particular project has the main goal of observing and analysing the dramatic drops in Arctic Sea ice. With multi-disciplinary teams and multiple international polar research institutions, the mission describes itself as the first year-round climate expedition. By observing patterns in the Arctic ice declines, the team of researchers hopes that measurable action might be taken in the future to stop the phenomenon. These research missions and projects are due to help us understand better how climate change and a series of other environmental concerns occur. As a result, as a society, we will be able to implement better measures to stop negative phenomenon and restore better climate and environment.